Home Tech News Reliance Jio Gigafibre Broadband Services, Cities Available With This Service, Steps To Avail Service. Reliance Jio Gigafibre Broadband Services, Cities Available With This Service, Steps To Avail Service. If you are using the internet at your home most of the cases it comes from the local internet service providers, where they will give you connection from broadband. In some cases they will directly provide through satellite which leads without any FUP charges and truly unlimited. What if you get a plan with high speed and never ending FUP..? Jio is offering the similar plans. Each and every jio broadband plans can be chosen according to your priorities. You can either opt for daily limit FUP or Low Speed high FUP or High Speed and high FUP. In the present jio sim they are offering 1GB 4G internet at a cost of 50 Rs which is pretty good deal for any mobile user compare to other telecom networks. 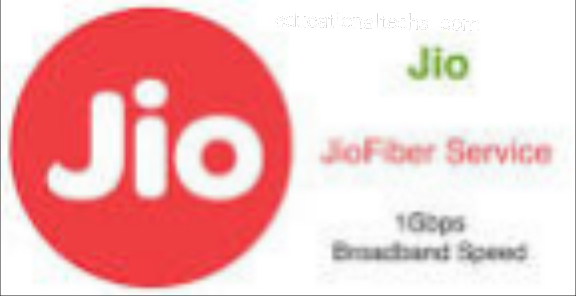 Reliance Jio customer care had confirmed on Twitter a few days ago that it is conducting trials for the JioFiber home broadband service in six cities at present. With the company’s sights set on dominating the market across the country, it will come as no surprise to anyone that Reliance Jio is expanding its JioFiber home broadband trials to more cities. The plan to expand the broadband testing to more cities “over the next few months” had been mentioned in a Q1 earnings call, but there was no mention of when this would happen. Replying to a customer on Twitter, who had asked about signing up for Reliance Jio broadband in Pune, the Jio Care team said the service is only available in select areas of Mumbai, Delhi-NCR, Ahmedabad, Jamnagar, Surat, and Vadodara. The Jamnagar operations are limited only to employees of Reliance Industries Limited, according to the tweet. Interestingly, a Twitter user in September had posted results of the Reliance Jio home broadband network speed tests in Pune, with speeds going up to 743.28Mbps. They will give connection through fiber net which makes your internet speed even more good. It’s a broadband connection but will come through fiber net. All the plans were same as mentioned before this jio gigafiber is also limited few cities and in few areas. If you want to know complete details about jio gigafiber then check this article, we will keep on updating you regarding every jio gigafiber news. For any broadband connection user need to carry few proof, in this case jio also following the same rules. These are the requirements for new jio broadband connection. You need to keep two passport photo size copies. or an alternative you can do e-kyc activation. Confirm whether connection is available or not. That’s it now you can get jio broadband connection.